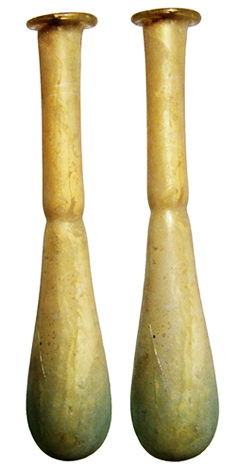 in their loved one's tomb. 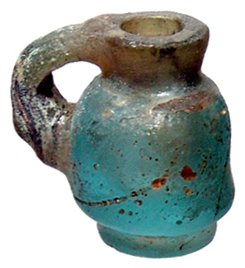 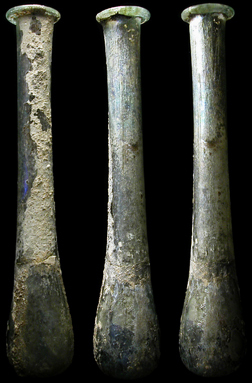 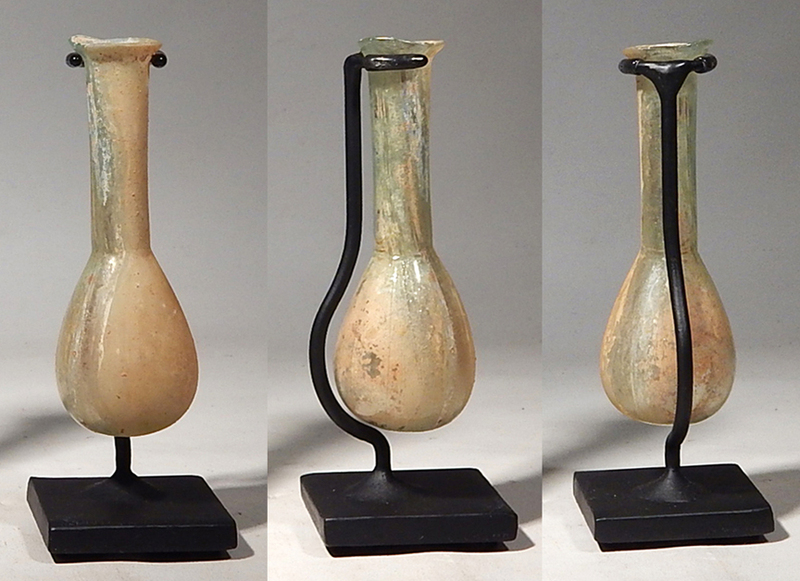 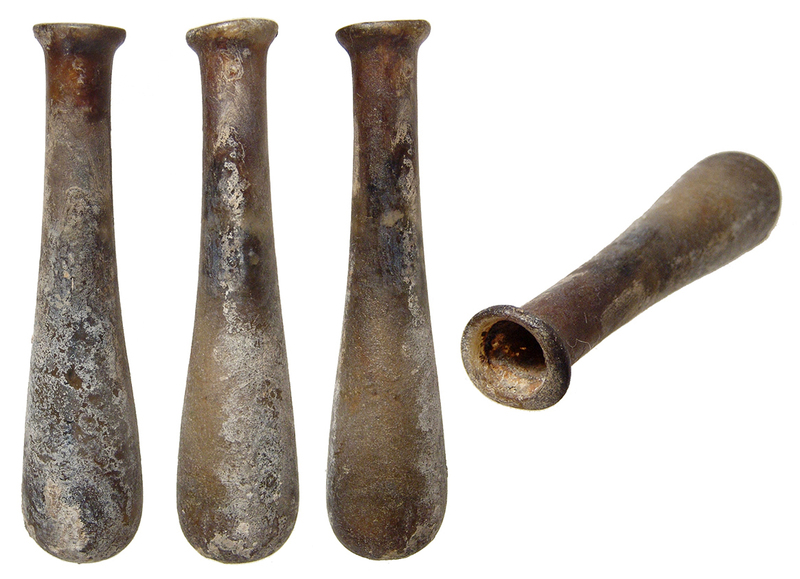 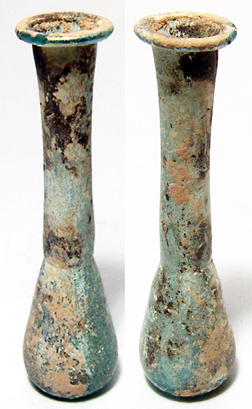 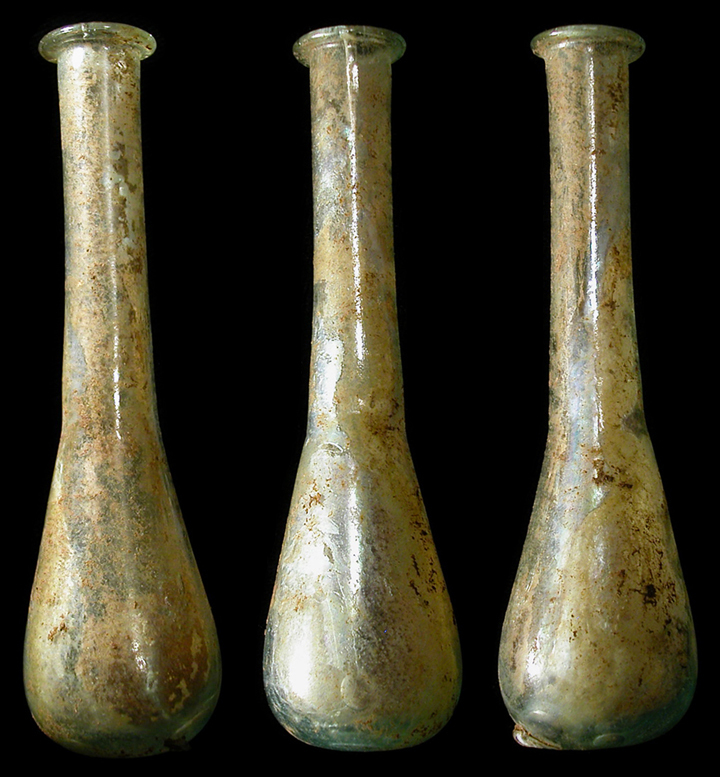 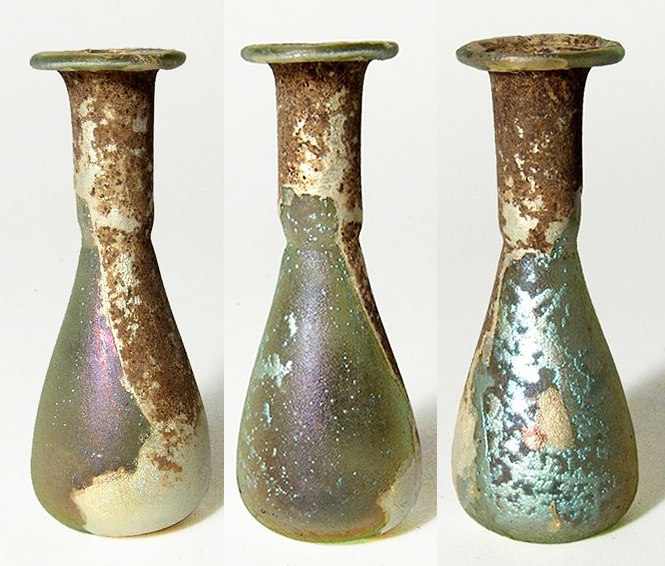 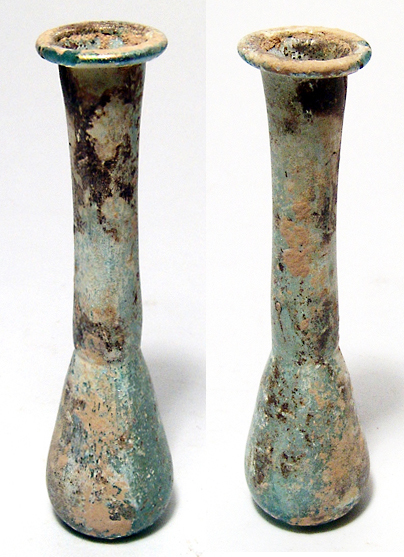 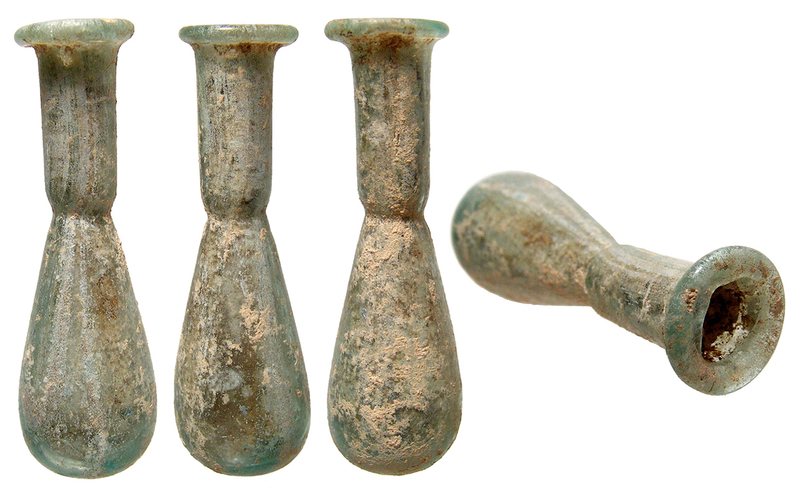 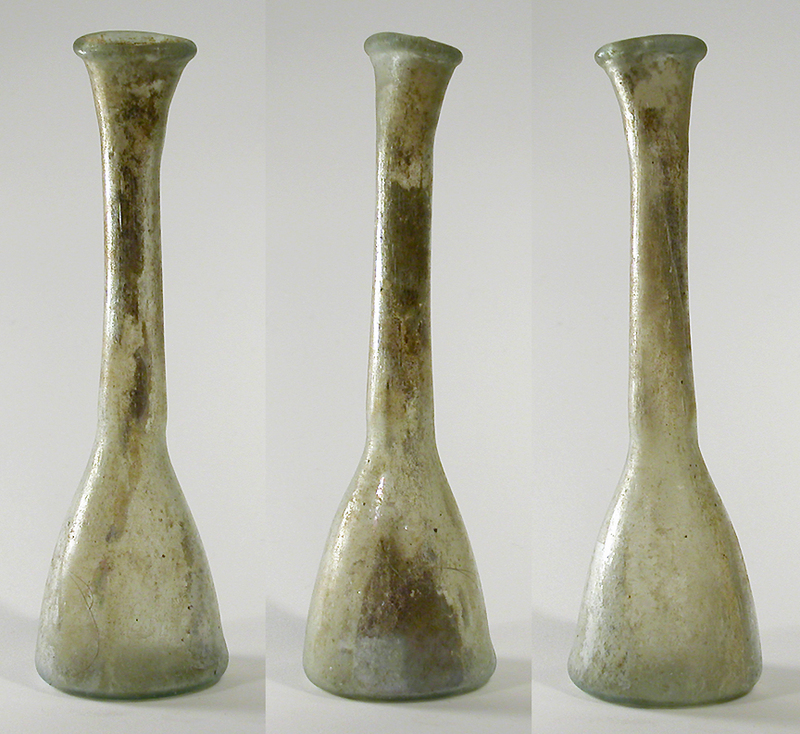 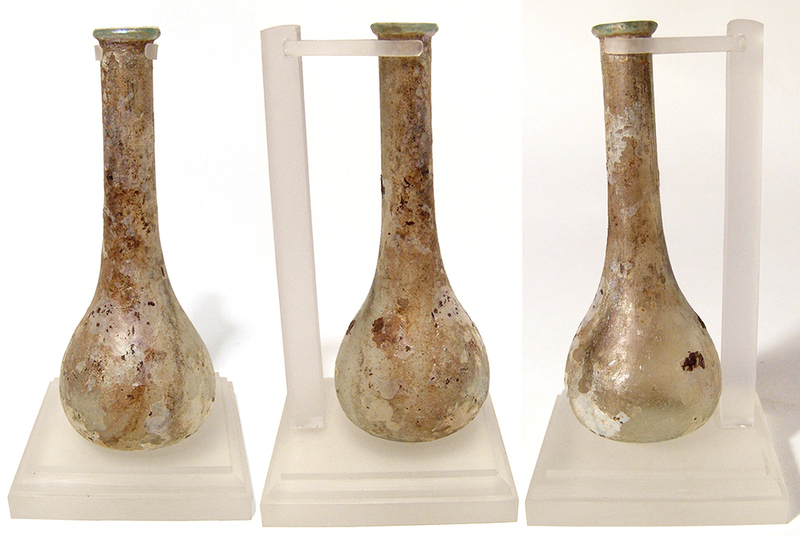 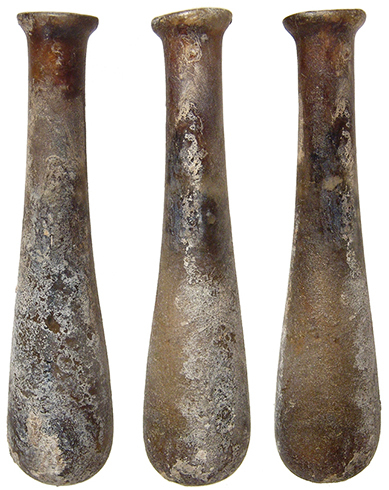 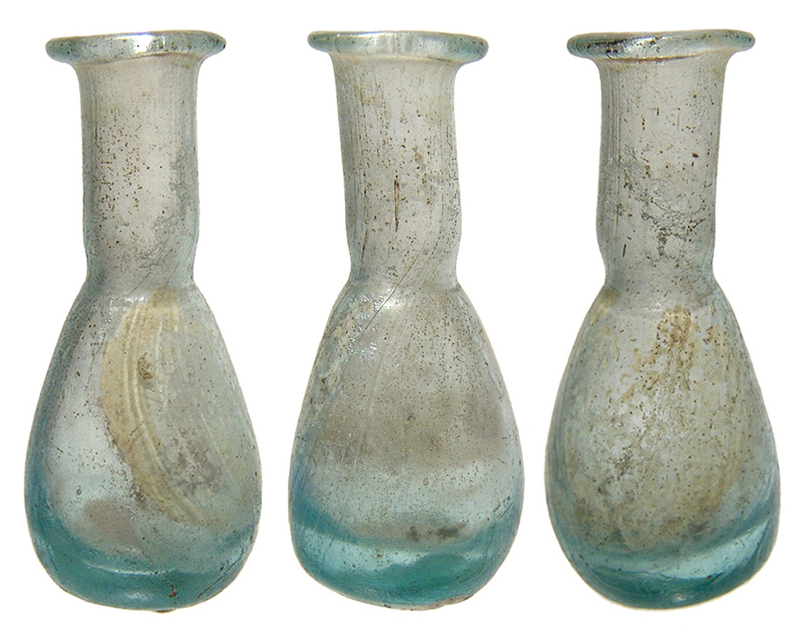 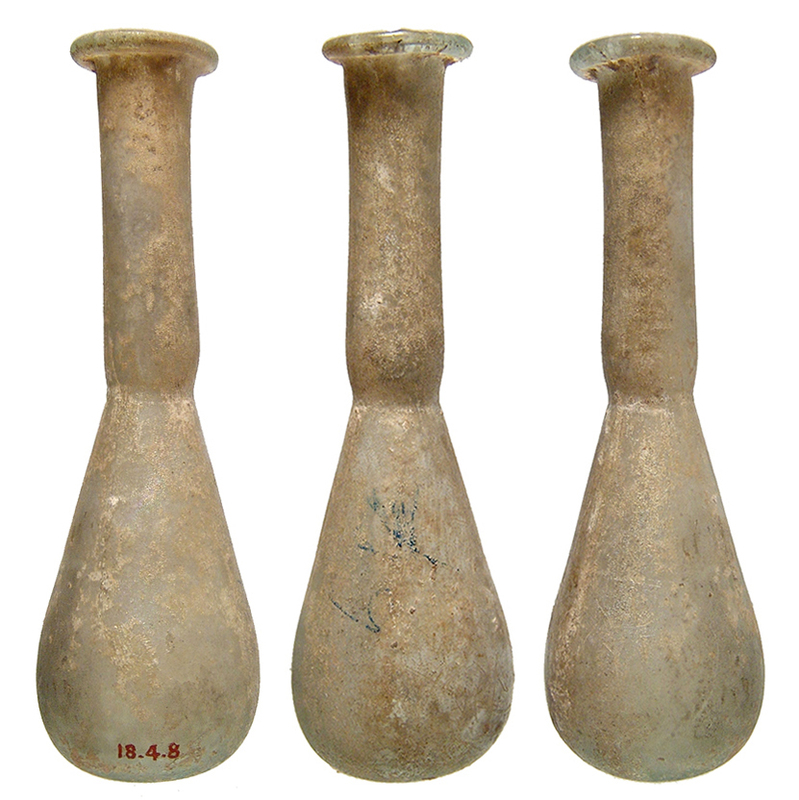 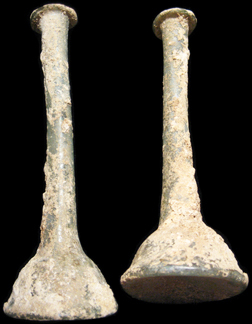 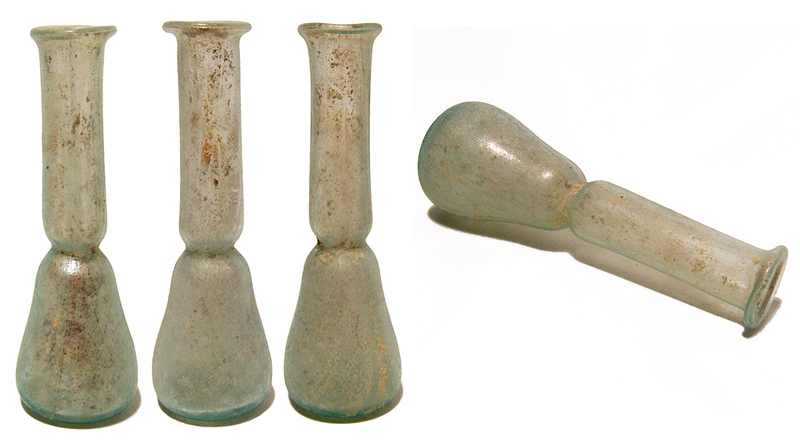 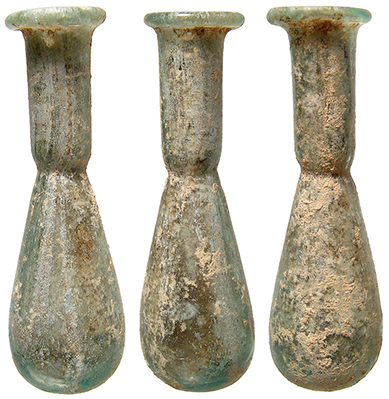 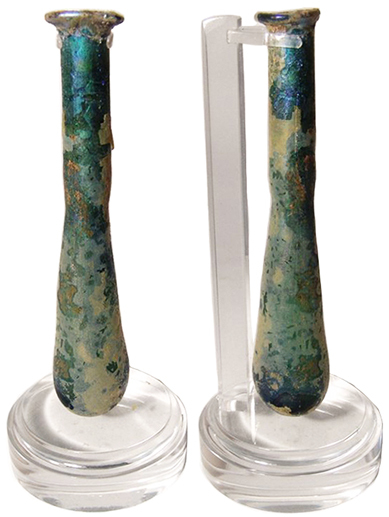 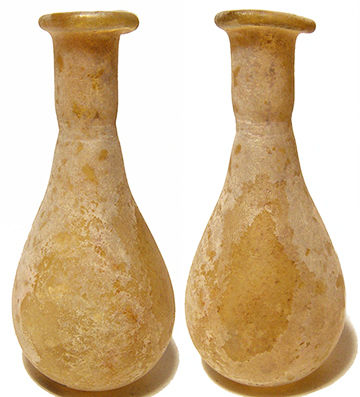 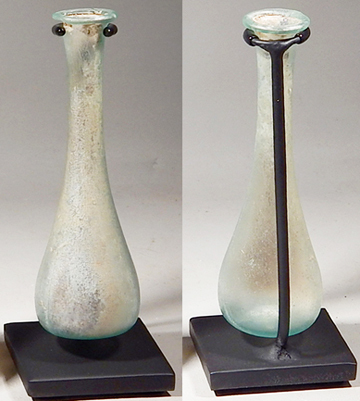 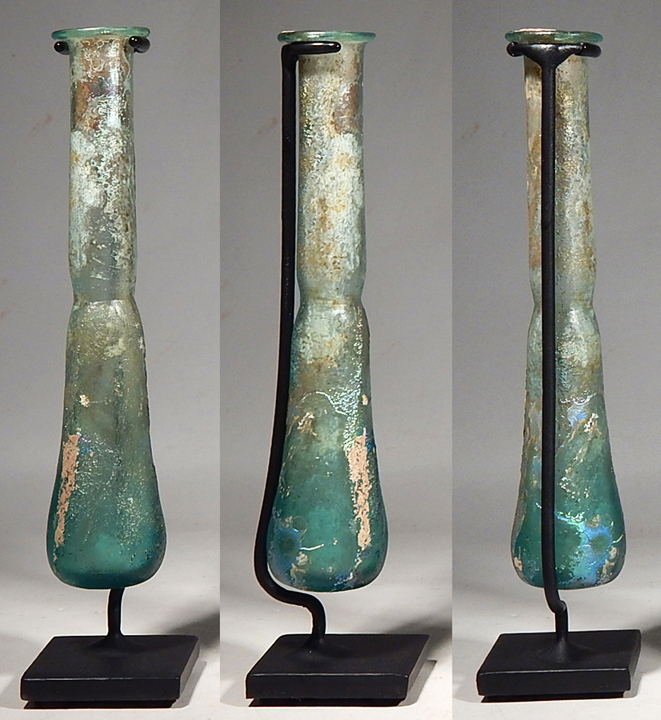 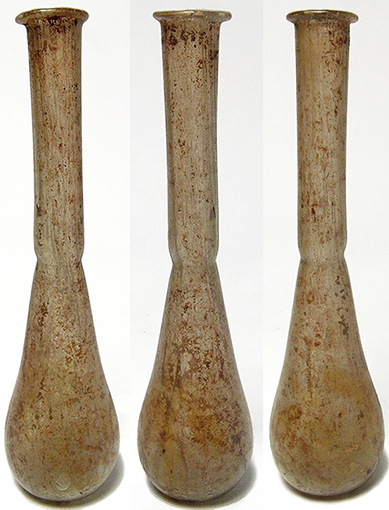 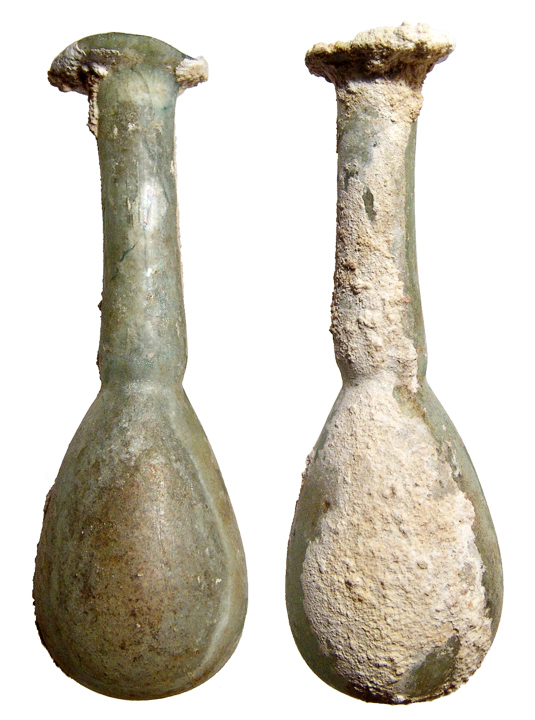 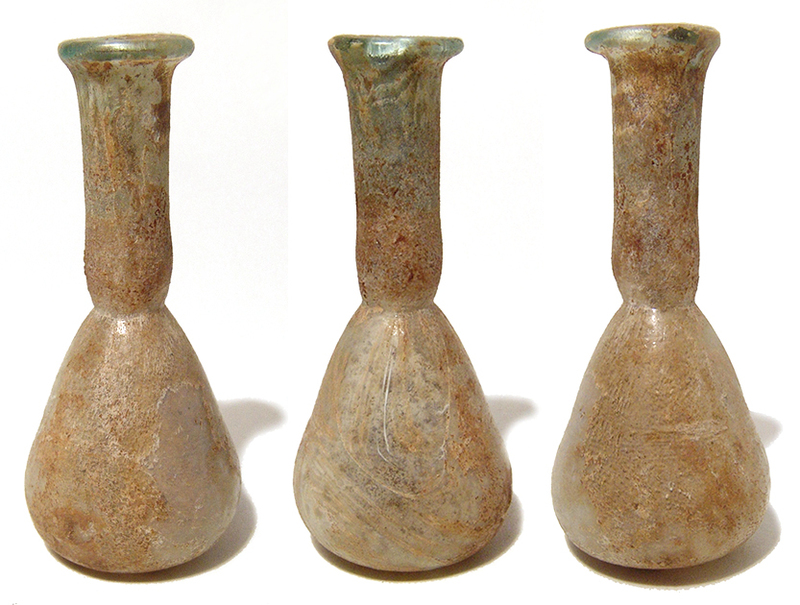 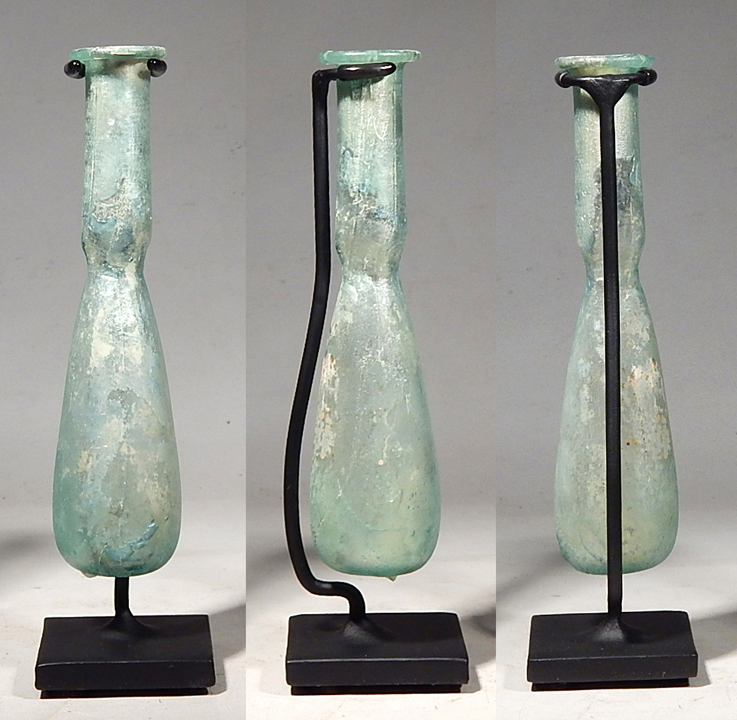 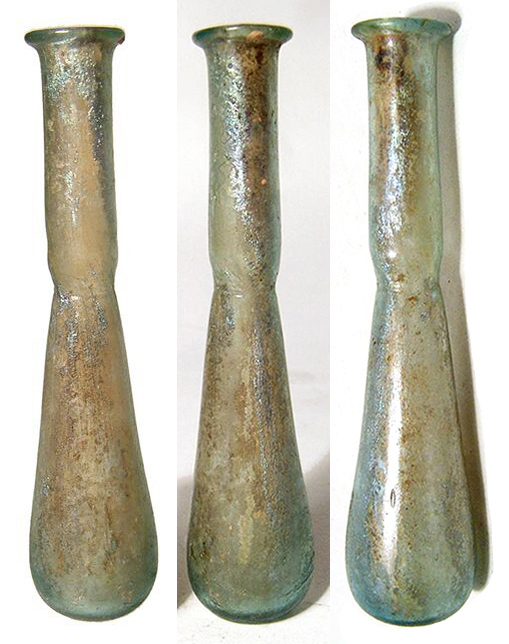 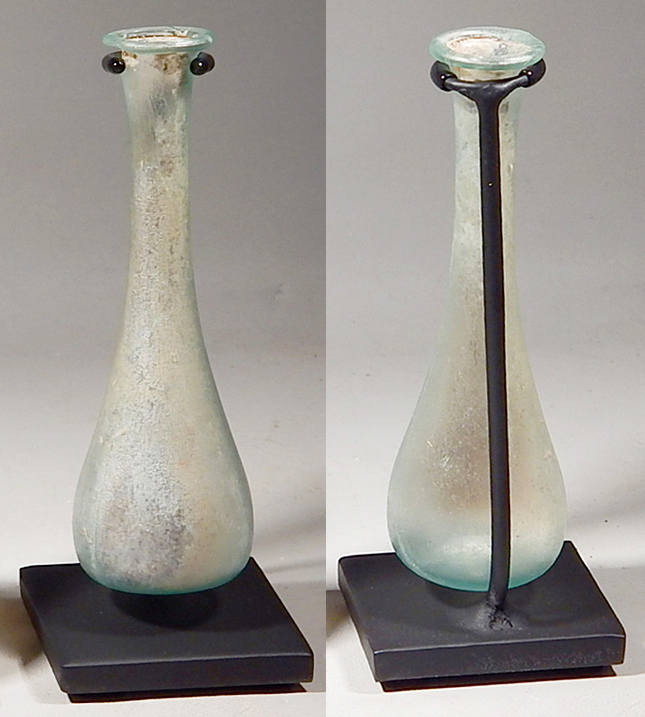 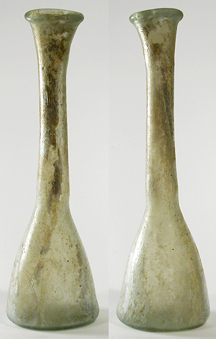 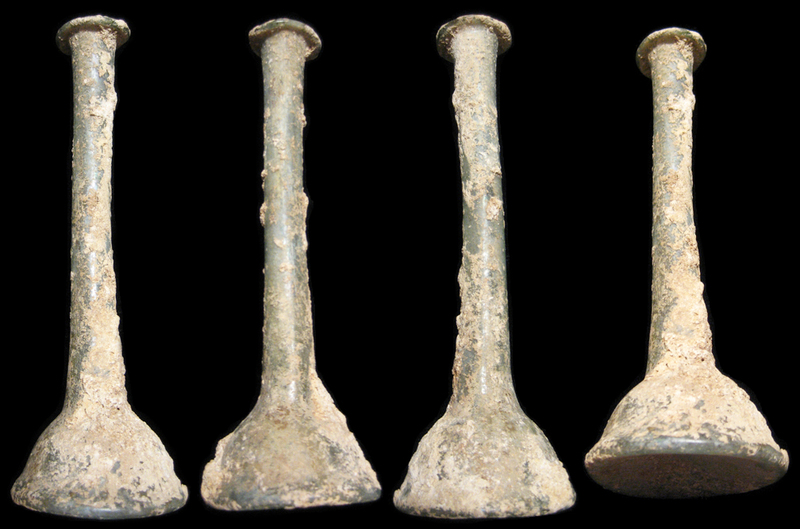 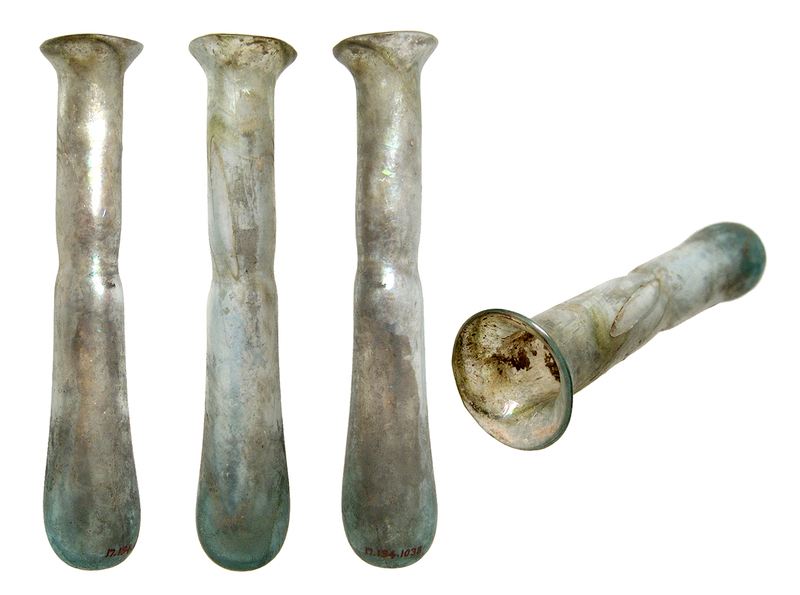 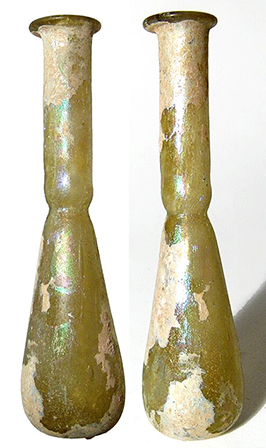 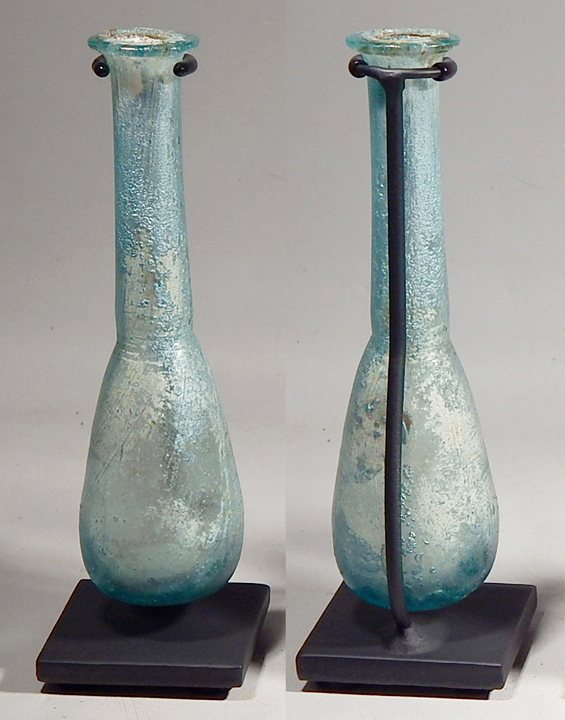 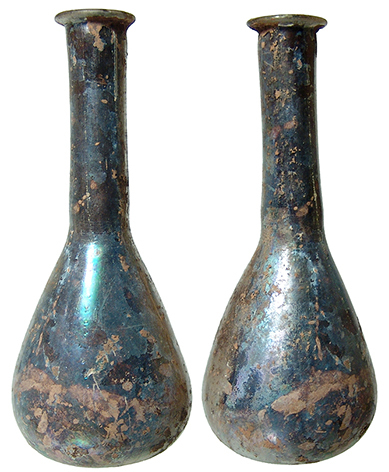 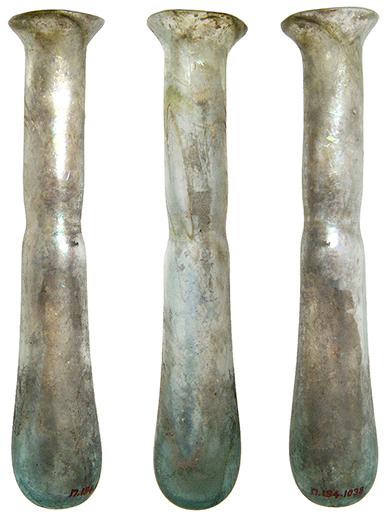 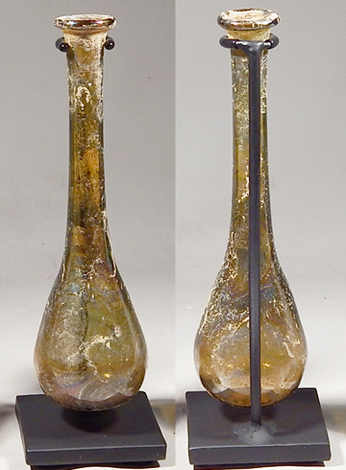 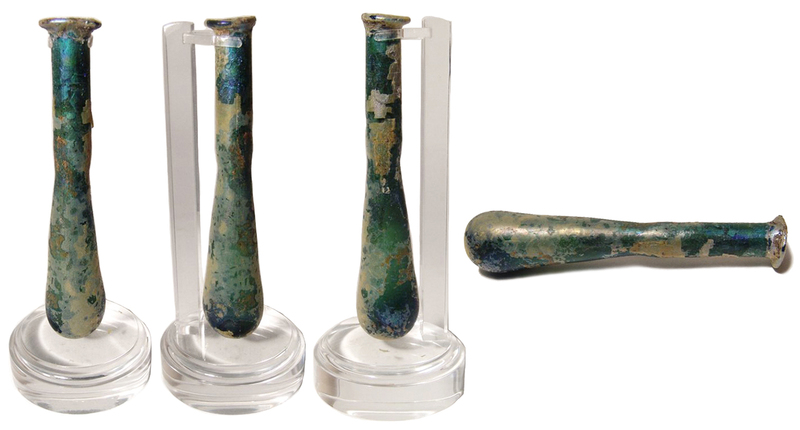 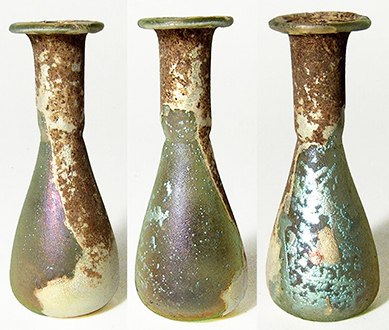 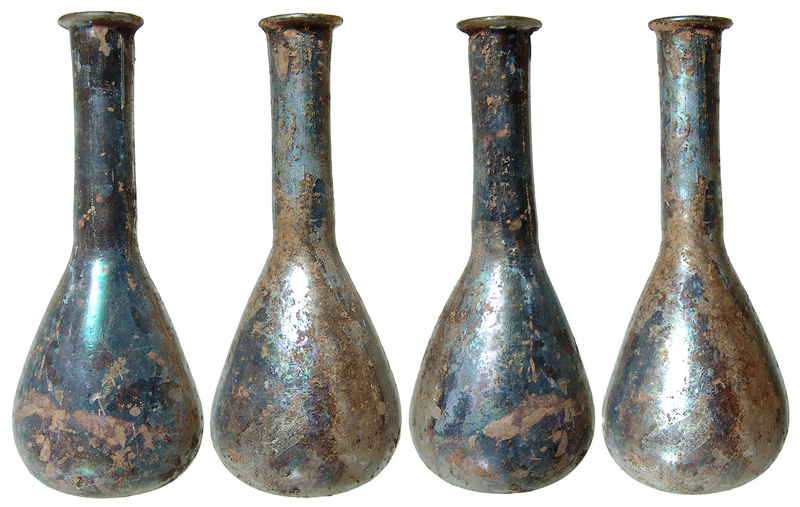 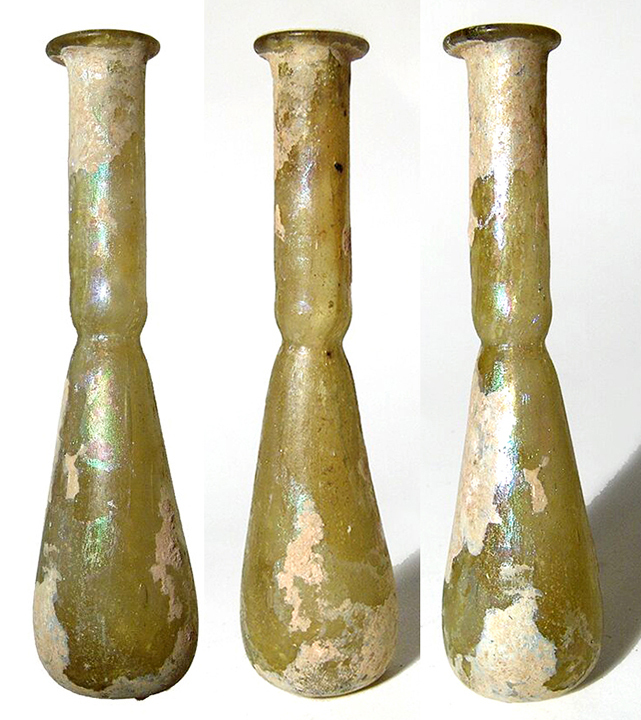 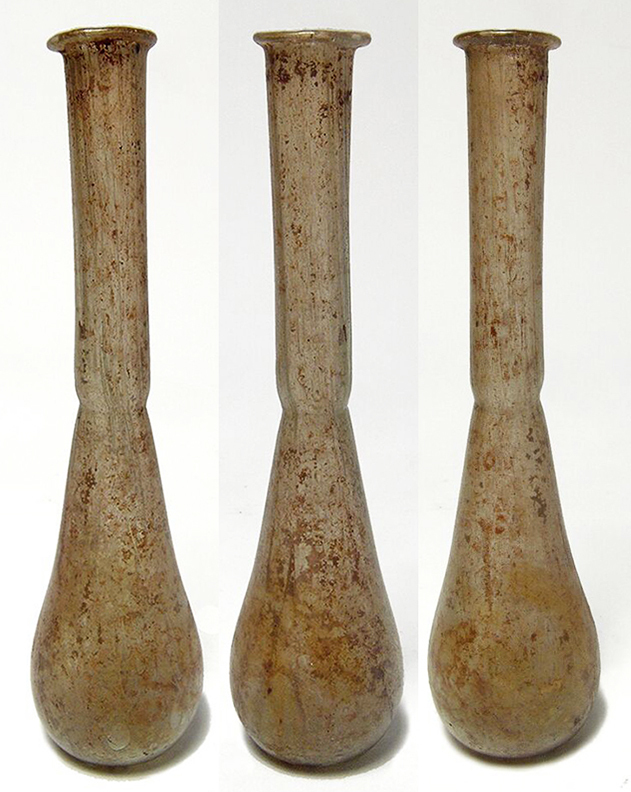 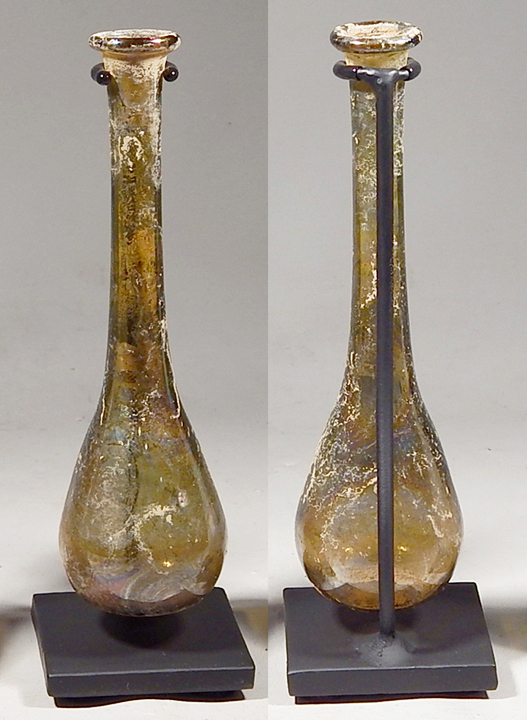 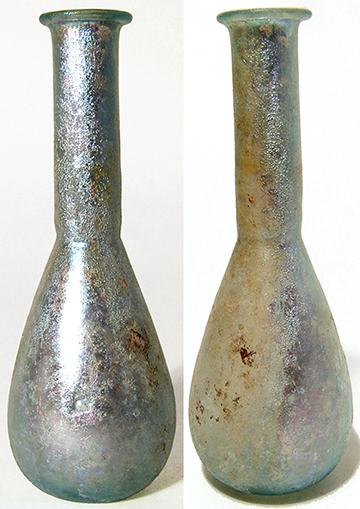 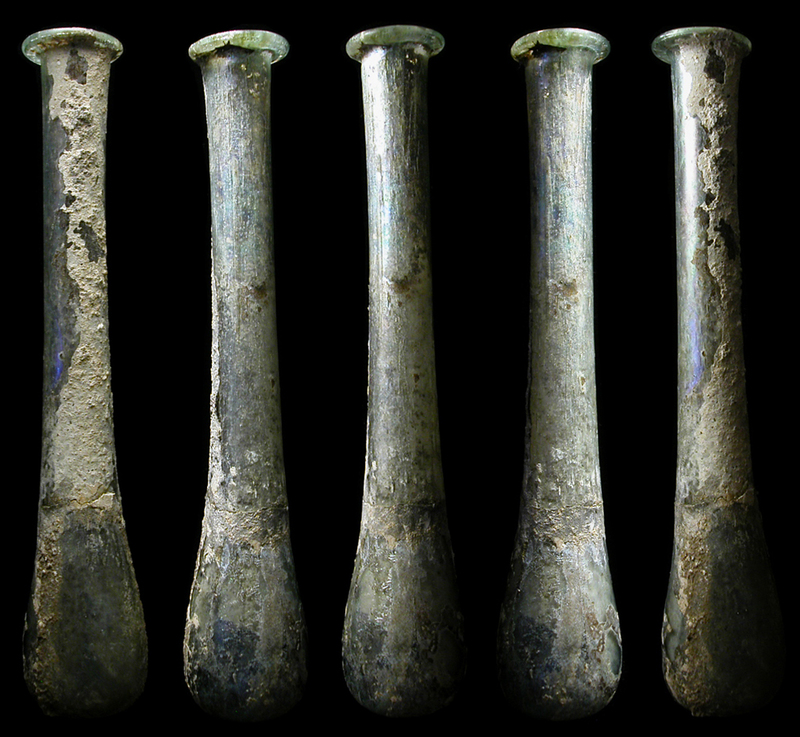 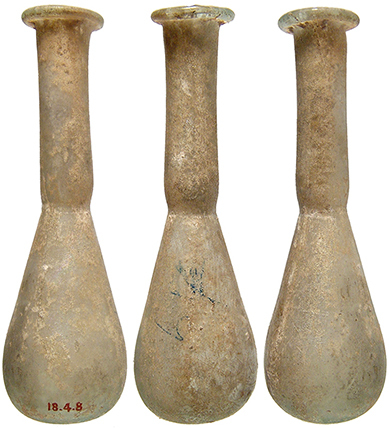 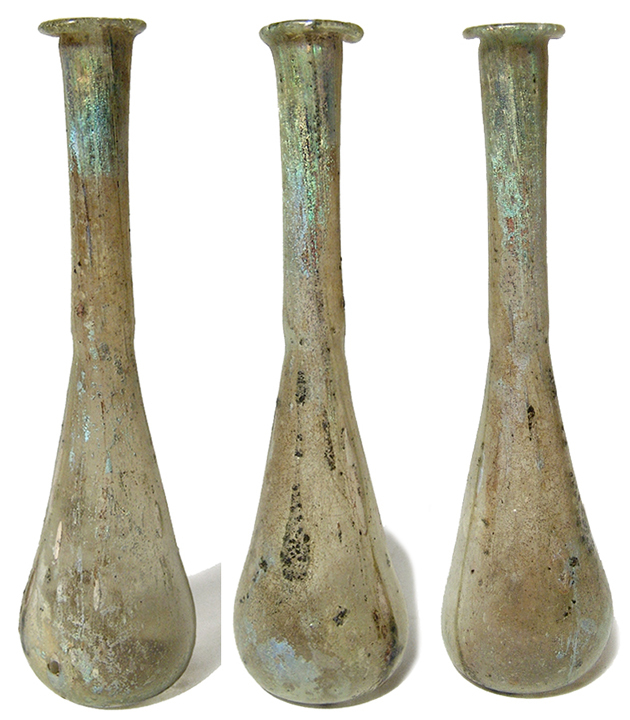 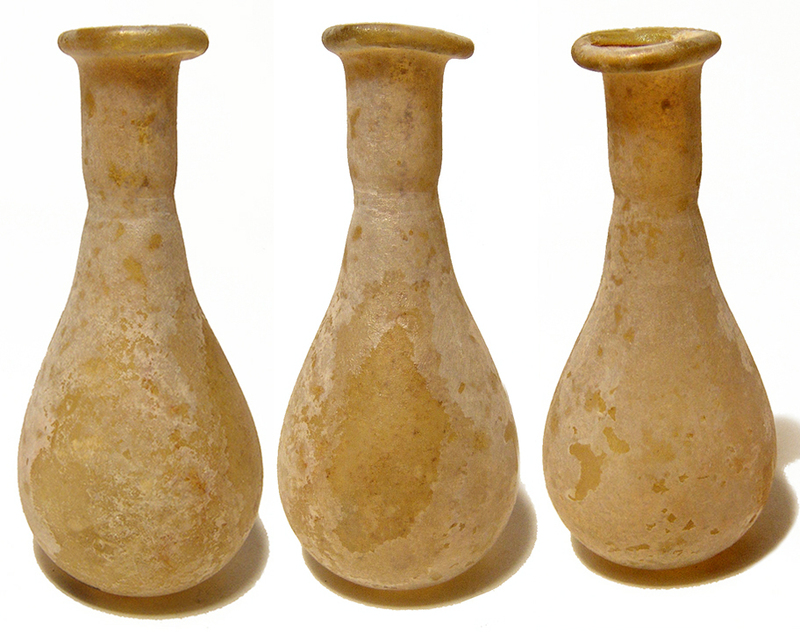 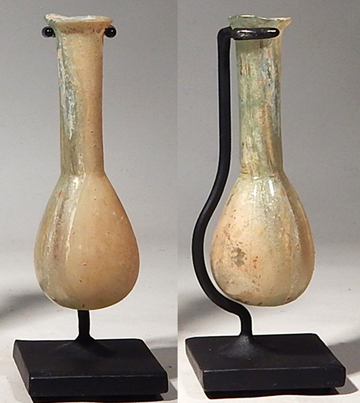 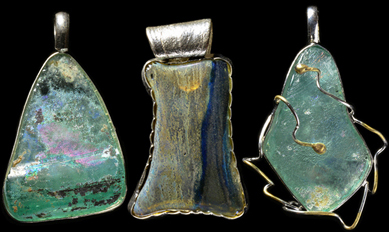 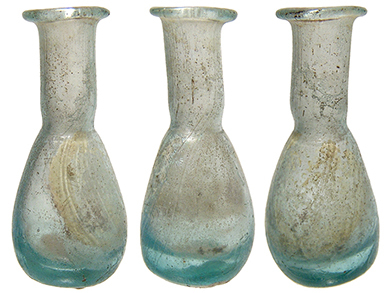 Often they would use Roman glass unguent bottles such as these. 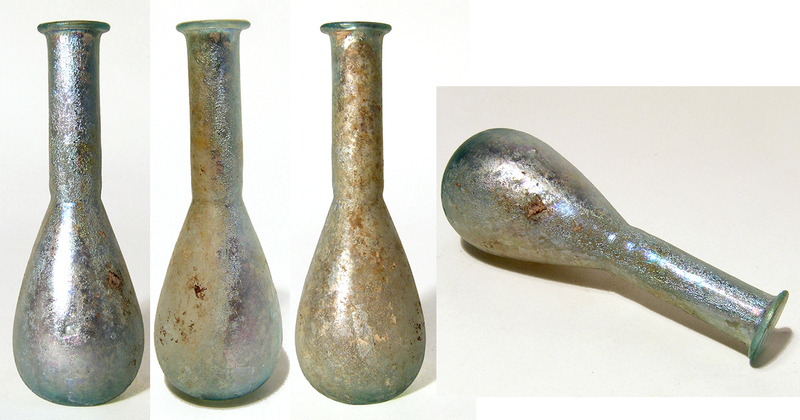 Roman Purple glass vessel. 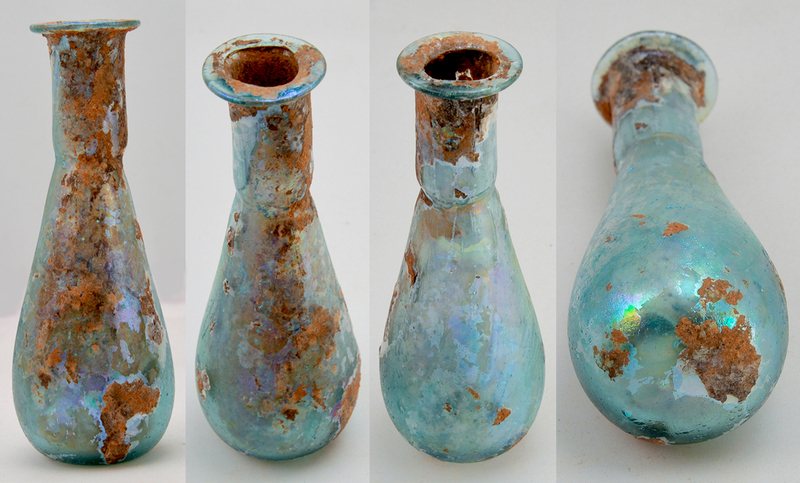 Shipwreck find! 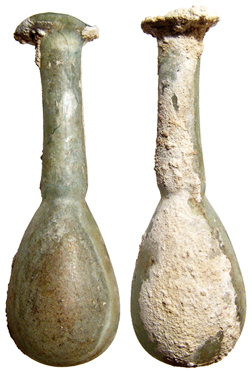 Holy Land, Roman period, c. 1st Century AD. 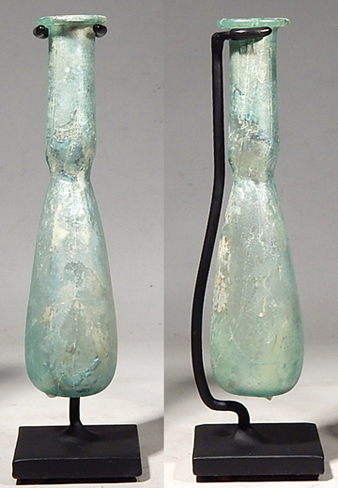 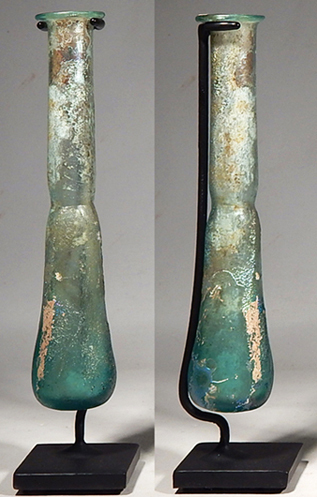 Beautiful light blue glass "tear vial" bottle. 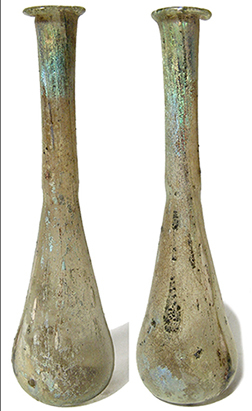 Excellent blue color with nice iridescence, the neck tapering down with slight constriction to a larger, rounded body and flat bottom. 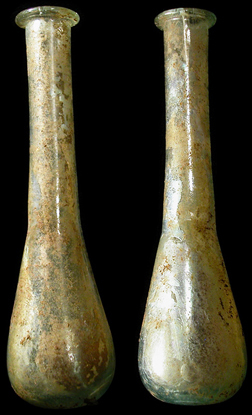 Intact with some light earthen deposits. 4 3/4" (12.3cm). 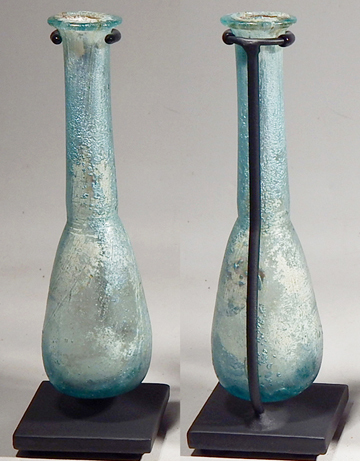 Mounted on nice custom stand. 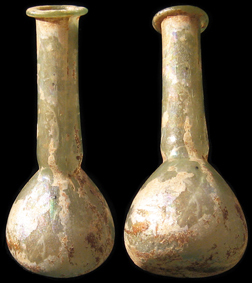 Holy Land, Roman period, c. 1st Century AD. 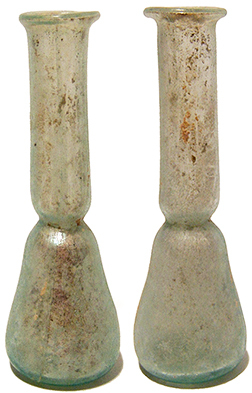 A beautiful small glass "tear vial" bottle. 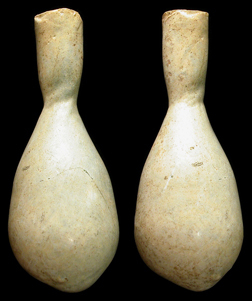 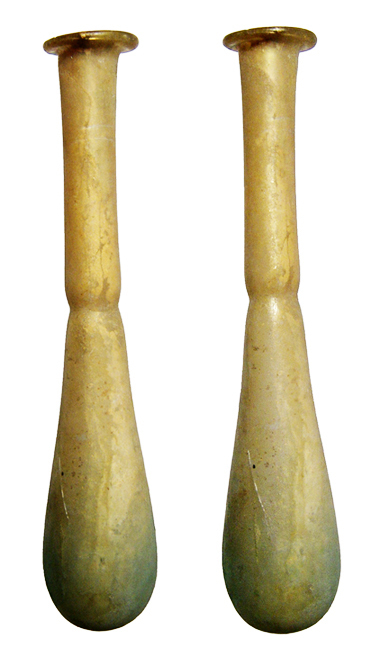 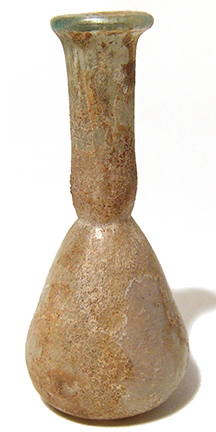 The ovoid body with lightly indented base, long cylindrical neck and flared mouth with inward folded rim. 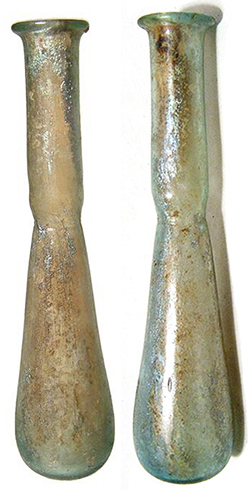 H: 2 1/2" (6.4 cm). 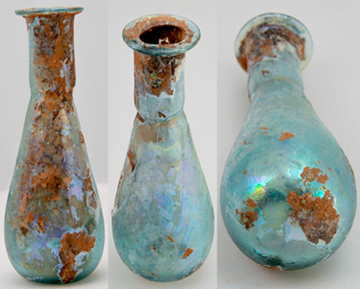 Well-preserved with marvelous iridescence.